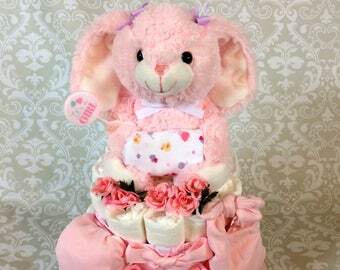 2 tier Diaper Cakes are approximately 26" tall. The platform is 12"x12", or 10"x14" and stands approximately 26" tall. The cake weighs 5 lbs and arrives in an 14x14x14 box. This cake will require one week to create. 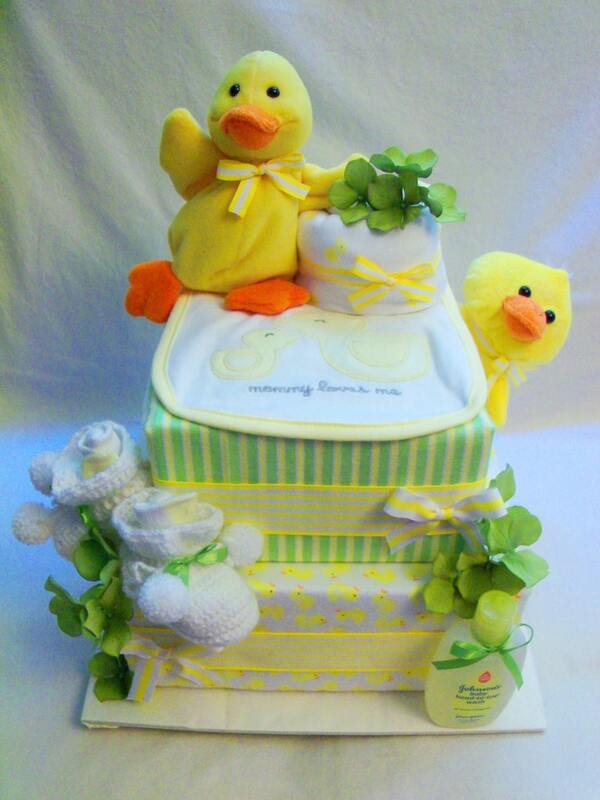 Each two tier fondant cake contains between 41 and 44 diapers and then covers each tier of diapers in a receiving blanket. The cake tiers are then decorated according to the theme of the cake. 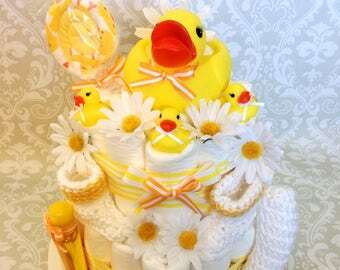 The duckie cake is decorated with orange, and yellow ribbon and several yellow rubber duckies. 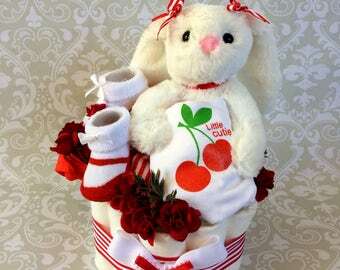 Baby shampoo and washcloths also decorate the cake. There are also lots of little bubble decorations all over the cake. 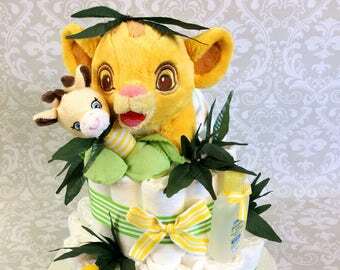 The Monkey cake is decorated with plush monkeys, rattles, a bath mit and baby soap. 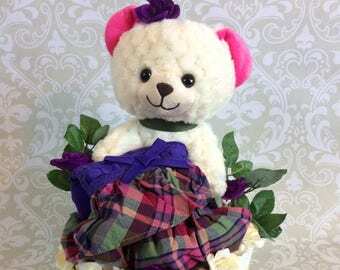 These exact cakes pictured in this listing have been sold already, but they all show an example of what I can make for you. 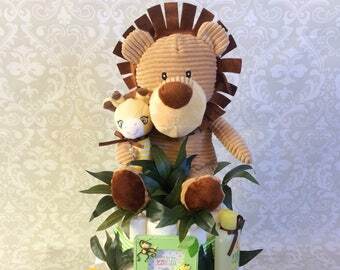 You can customize the theme, colors, patterns, ribbons, toys, and accessories that are displayed on your cake. You just need to provide for me the new baby's gender, and a shower theme (if applicable). I will work with you to make the cake of your dreams.